If you're buying a used Hyundai from a private seller, the famous 10-year or 100,000-mile powertrain warranty doesn't carry over. In a certified pre-owned (CPO) Hyundai, however, the 10-year powertrain warranty is reinstated, giving drivers 5 years or 40,000 miles of coverage beyond what comes with a regular used Hyundai. Hyundai's CPO warranty is also fully transferable, and it occasionally includes special financing rates -- though there is a $50 deductible per visit. If you're interested in buying a used Hyundai, you might want to consider the brand's certified pre-owned program. It offers an impressive warranty and a few other benefits that, according to Hyundai, add up to $2,066 in added value over a standard used model. The main benefit of Hyundai's certified pre-owned program is the powertrain warranty. While most used Hyundai models lose the brand's 10-year or 100,000-mile new-vehicle powertrain warranty to a shorter 5-year or 60,000-mile bumper-to-bumper plan, CPO vehicles have the entire powertrain warranty reinstated. They also still include the 5-year or 60,000-mile bumper-to-bumper warranty. The result is great coverage. For example, a 3-year-old used Hyundai with 30,000 miles will have 2 years or 30,000 miles of bumper-to-bumper coverage and 7 years or 70,000 miles of powertrain protection. Hyundai's certified pre-owned program also offers a few other benefits, such as full warranty transferability if you decide to sell your CPO Hyundai before the warranty expires. The program also occasionally offers special financing rates, which allow you to get a better deal than you might with a typical used car. There are, however, a few drawbacks. We're not wild about the $50 deductible, for example, which is applied to every single warranty repair visit. After a few visits, that number can start to add up. We also think it can be a little confusing that the warranty starts on the day the original owner bought the car, and not the day you buy it. Still, Hyundai's CPO program is very much worth looking into, as it touts an excellent warranty and several other highly alluring benefits. 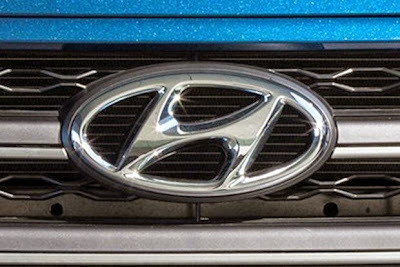 We strongly believe you should check it out if you're considering a used Hyundai.